Shopping for a home builder should be done with great thoughtfulness and care. There are many home building firms out there, and they all have something to offer. You have the challenge of selecting one that fit your needs and can give you the home of your dreams. 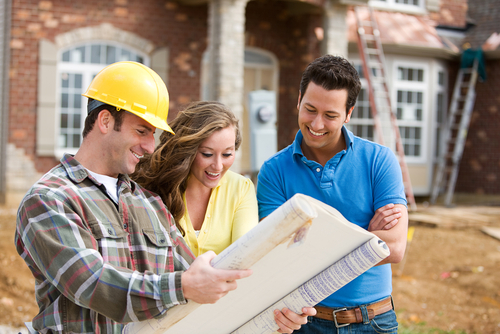 But how do you go about choosing the right home remodeling contractor? It is no simple undertaking; it takes time and effort when making such an important decision. Here are a few tips that can help you find a contractor that will leave you satisfied with a home where you can make great memories. A good starting point when choosing a contractor is to decide on the type of home you desire and how much you are willing to spend to make it a reality. You may want a custom home, or seeking to move up into a bigger house; regardless, you need a builder who can work within your budget and build the type of home that you want. The builder has to be able to fit your needs and be able to understand your vision. Do your homework when searching for a builder. Every builder will tout how great they are at their job, but that could be far from the truth. There will be several choices in homebuilders when you start your search, and you should have criteria for selection. See if the builder has an online presence and how established they are as a contractor, or if they are relatively new to the market. Check out customer testimonials that can provide an unbiased view of the quality of a builder’s work. A builder should be able to show you finished pictures of their work, as well as floor plans, or even offer model home tours. Conduct thorough interviews and ask the tough questions, and find out about a builder’s license and insurance. The quality of a builder’s work should be given considerable attention. You want to ensure that your home will be built well to your specifications, up to code and with quality materials. You want to avoid the possibility of having to make difficult, extensive and costly repairs in the future. Be sure to ask the builder for a tour of past projects and about the structural materials for building the home, and also check references. Ryann Reed has the best selection of designs for you to choose from, that can match your needs and give you the home of your dream.